We have a wide range of vehicles and parts on site. We are based in Northern Ireland in Co Armagh. Established in 2013. NOT HAPPY?. - let us know so we can fix it. AUDI - A1 (8X1, 8XF) - 1.6 TDI. AUDI - A1 Sportback (8XA, 8XK) - 1.6 TDI. AUDI - A1 (8X1, 8XF) - 2.0 TDI. AUDI - A1 Sportback (8XA, 8XK) - 2.0 TDI. AUDI - A3 (8P1) - 1.6 TDI. AUDI - A3 (8P1) - 1.9 TDI. AUDI A3 8P FACELIFT. 2008 - 2012 1.6 PETROL EXHAUST MANIFOLD& SENSOR. WITH A 1.6 PETROL ENGINE & DSG GEARBOX. REMOVED FROM A 2009 5 DOOR AUDI A3 SPORT. 8.00am - 1.00pm, Sat. 8.00am - 5.00pm, Mon - Fri. REMOVED FROM A 2013 A3 8V (MK3) 1.6 TDI WITH ENGINE CODE CLH. 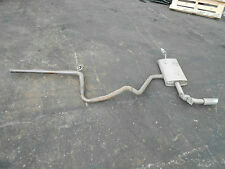 THE AUDI A3 8V (MK3) 1.6 TDI EXHAUST CENTER PIPE BACK BOX. MIDLAND CAR BREAKERS LTD. MIDLAND CAR BREAKERS disclaim any liability for mistakes, misprints and spelling errors. REMOVED FROM: 3 DOOR 2004 RED AUDI A3 8P1 1.6 PETROL 5 SPEED MANUAL. PAINT CODE LY3J / ENGINE CODE BGU. This is an original quality part manufactured by Elring. FOR AUDI A3 8V. Fitting Position:Cylinder Head. Vehicle compatibility. Part specifications. This is an original quality part manufactured by Elring. FOR AUDI A3 8V. VW EOS Golf Passat Polo Touran 1F7 1T1 3C2 3C5 9A4 9N_ 1.6 FSi Exhaust Manifold. Donor Car: 2004 VW Golf MK5 1600cc. The New and Used VW Parts Specialist for all VW models worldwide. VW Part Number: 03C 253 031 G.
This is an original quality part manufactured by Febi. Multiple choices exist for:AUDI A3 2.0 Exhaust Manifold Gasket. FOR AUDI A3. FOR AUDI A3 8P. This is an original quality part manufactured by Elring. Multiple choices exist for:AUDI A3 2.0 Exhaust Manifold Gasket Seal. This is an original quality part manufactured by Febi. FOR AUDI A3. Vehicle compatibility. TWIN-SCROLL BUMPER EXHAUST GASKET 2.0 TFSI AUDI A3 TT VW GOLF 5 3MM T4. Audi A3 8V1, 8VK 2.0 TFSI 2016/05-2019/12. Audi A3 8P1 2.0 TFSI 2004/09-2012/08. Audi A3 Cabriolet 8V7, 8VE 2.0 TFSI 2016/05-2019/12. FOR AUDI A3 8P. This is an original quality part manufactured by Elring. This is an original quality part manufactured by Febi. FOR AUDI S3. VW Golf Jetta Passat Touran 1T1 3C2 3C5 2.0 TDi Diesel Exhaust Manifold Turbo Heat Shield. Donor Car: 2006 VW Jetta 2000cc. The New and Used VW Parts Specialist for all VW models worldwide. 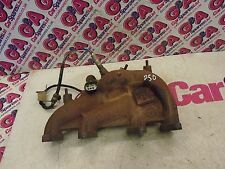 VW Part Number: 03G 129 969 G.
Donor Car: 2008 Audi A3 8P 2000cc Quattro. The New and Used Audi Parts Specialist for all Audi models worldwide. Audi Part Number: 03G 129 969 AB. It may fit others. Equivalent Part Numbers. This is an original quality part manufactured by Febi. Donor Car: 2001 Audi A4 B6 Saloon 1900cc Sport. The New and Used Audi Parts Specialist for all Audi models worldwide. Audi Part Number: 038 129 969 A. It may fit others. Donor Car: 2009 Audi A3 8P FL 1900cc. The New and Used Audi Parts Specialist for all Audi models worldwide. Audi Part Number: 03G 129 969 A. It may fit others. However delays are occasionally inevitable due to unforeseen circumstances. Skoda Yeti 5L 1.8 TSI 4x4 09- 1798ccm 152HP 112KW (Petrol). Must Read Before You Buy! Skoda Octavia 1Z3 1.8 TSI 09- 1798ccm 152HP 112KW (Petrol). However delays are occasionally inevitable due to unforeseen circumstances. VW Passat 362 1.4 TSI EcoFuel 10- 1390ccm 150HP 110KW (Petrol/Natural Gas (CNG)). Must Read Before You Buy! VW Golf MK6 1.4 TSI 11- 1390ccm 160HP 118KW (Petrol). However delays are occasionally inevitable due to unforeseen circumstances. Skoda Octavia 1Z3 1.6 04- 1595ccm 102HP 75KW (Petrol). Must Read Before You Buy! VW Polo 6KV5 1.6 97-01 1595ccm 101HP 74KW (Petrol). However delays are occasionally inevitable due to unforeseen circumstances. Seat Altea 5P1 2.0 TDI 05-07 1968ccm 170HP 125KW (Diesel). Must Read Before You Buy! VW Jetta MK4 2.0 TDI 11- 1968ccm 140HP 103KW (Diesel). However delays are occasionally inevitable due to unforeseen circumstances. Audi A3 8PA 2.0 TDI 06-08 1968ccm 163HP 120KW (Diesel). Must Read Before You Buy! Mitsubishi Lancer 2.0 Di-D 08- 1968ccm 140HP 103KW (Diesel). AUDI, VW, SEAT, SKODA. Exhaust manifold incl. Installation kit for. - Exhaust manifold price includes installation kit. - We use only high quality materials (stainless steel, vermicular) for our manifold! VW, AUDI, SEAT, SKODA. Exhaust manifold incl. Installation kit for. - Exhaust manifold price includes installation kit. - Warning manifold without EGR! - We use only high quality materials (stainless steel, vermicular) for our manifold! Glass w/ adhesive layer- Professional 12"x39.4". Car Motorcycle Exhaust Engine Hood Heat Shield Barrier Aluminum-Fiber. Adhesive Backed Aluminum Coated Fiberglass Fabric is a heat reflective flexible sheet, constructed from a thin layer of aluminum foil which is heat stable laminated to a texturized glass fiber base fabric on one side, with a pressure sensitive acrylic adhesive on the other side to facilitate installation. 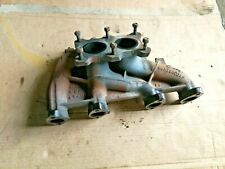 06A253031CH EXHAUST MANIFOLD AUDI A3 SPORTBACK 1.6 75KW 5P B 5M (2012) SPARE PARTS. MPN 06A253031CH. Product range: EXHAUST SYSTEM / EXHAUST MANIFOLD. Being the parts used may have slight signs of wear and tear. Auto car universal end Pipes. Fits For all cars (You should doublecheck the size before you decide to place order. Light weight and durability ,high quality of Stainless steel. we will do our best to provide the better servece. ). Audi A3 (8P1) 2.0 TDI 100KW 136HP 2003.05 - 2012.08. Audi A3 (8P1) 2.0 TDI 125KW 170HP 2006.03 - 2012.08. Audi A3 (8P1) 2.0 TDI 16V 103KW 140HP 2003.05 - 2012.08. Audi A3 (8P1) 2.0 TDI 16V quattro 103KW 140HP 2004.08 - 2012.08. Seat ALTEA (5P1) 1.4 TSI 92KW 125HP 2007.11 -. Seat ALTEA XL (5P5) 1.4 TSI 92KW 125HP 2007.11 -. Seat IBIZA IV (6L1) 1.6 16V 77KW 105HP 2006.11 - 2009.11. Seat IBIZA V (6J5) 1.4 TSI 110KW 150HP 2009.06 -. Heat Shield Exhaust Manifold Audi A3/A3 Sportback 8p1 8pa Yr. 03-14 022253035p. Year 8P1 07/2003-2012. Audi A3 / A3 Sportback. Heat protection exhaust manifold. Key number to 2: 0588. Key number to 3: 842. 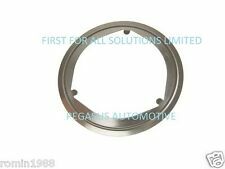 Exhaust manifold gasket 1.8 l TFSI 2.0 l TFSI Audi Seat Skoda VW. TFSI 1.8 l / 2.0 l TFSI engines or 1798ccm/1984ccm. Audi / Seat / Skoda / VW. Sealing / exhaust manifold. Audi A5 Sportback (8TA). AUDI A5 Cabriolet (8F7). 1.6 l petrol engine / 1.9 l 2.0 l SDI/TDI with 1595/1896/1984ccm. Exhaust manifold gasket Audi Ford Seat Skoda VW. Sealing / exhaust manifold. Audi / Ford / Seat / Skoda / VW. Audi A3 (8L 1), A3 (8P1). Universal 48mm 25M Car Aluminum Reinforced Heat Shield Tape Adhesive Backed Resistant Wrap 450℃. Size：48mm x 25m. 1 x Heat shield tape. Material: Glass fiber. All Intercooler tube / Turbine tube. -Self adhesive backing. The glass fiber base fabric will stay intact up to 1000°F (538°C). Adhesive Backed Aluminum Coated Fiberglass Fabric is available in several sizes, with or without adhesive backing. Adhesive Backed Aluminum Coated Fiberglass Fabric is a heat reflective flexible sheet, constructed from a thin layer of aluminum foil which is heat stable laminated to a texturized glass fiber base fabric on one side, with a pressure sensitive acrylic adhesive on the other side to facilitate installation. Glass w/ adhesive layer- Professional 12"x39.4". The glass fiber base fabric will stay intact up to 1000°F (538°C). Adhesive Backed Aluminum Coated Fiberglass Fabric is available in several sizes, with or without adhesive backing. Typ A3 Altea Leon Toledo Octavia Caddy Golf Touran Jetta. Colector de escape VW Altea Leon Toledo Octavia Caddy Golf Touran Jetta 1,6 BGU 06A253033P. Fahrzeug VW Skoda Seat Audi. Type A3 Altea Leon Toledo Octavia Caddy Golf Touran Jetta. Heat Shroud is made from a high temperature rated glass fiber fabric with an aluminized outer facing. Without the need of removing one end of connected wires, cables and hoses, simply wrap Heat Shroud around whatever needs protection and close edges.